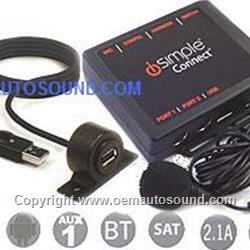 Connect your phone to your car -Wirelessly. Charge your device with included USB connection. Works with smartphones, tablets and media players. View and control your device from your factory radio. The next generation of connected car solutions. Enjoy your favorite songs, discover new content with internet radio, and safely manage phone calls, hands-free with a touch of a button. 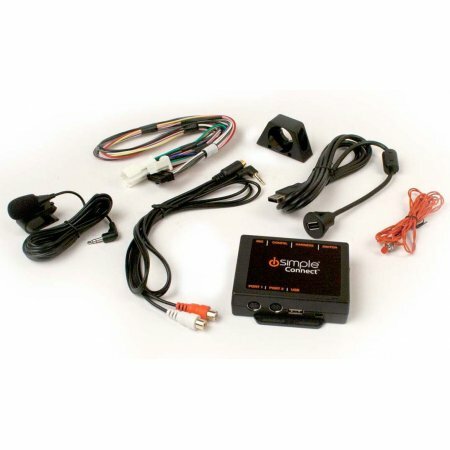 One discrete module hidden in your vehicle seamlessly connects your devices while providing control through your factory radio and steering wheel controls. or sat button. Connect’s USB port provides charging and music playback from your smartphone or music playback from a portable USB hard drive or thumb drive. SUSB Connection for Charging and Control of smartphones, tablets, and media players. Device browsing and control by wired or Bluetooth connection. 2.1Amp Charging for iPad and other compatible devices. Song text (metadata) on factory radio Auxiliary Audio Input. After having researched all the Bluetooth adapters available for Lexus Toyota I order this and been using it for a few weeks,and it is performing like a champ, the installation and i-phone setup of this device was quick and easy. It quickly connects to my iphone as soon as I turn on my Tacoma, and it disconnects when I turn it off. It switches the radio station/band off as soon as a call comes in. I can connect without a problem and listen to Pandora,using the Bluetooth or the USB connection, It is just a great device.